Tactical: How to operate effectively and efficiently in the Right Offensive Quadrant Corner (ROQC) adjacent to the Primary Play Making Space (PPMS) and Secondary Play Making Space (SPMS), as a Right Winger. Objective: To understand the requirments of the player when dribbling with the ball down the right hand side of the field. Sportplan coaches have been working hard this summer to create new AUDIO and VIDEO content. Check it out! Tactical: How to connect the soft passes coming from the Primary Play Making Space (PMS) and Secondary Play Making Space (SPMS), into goals with a short quick back swing hit. Technical: Developing specific techniques to score first time field goals from these soft passes, via a mini hit or push on the run. Video clips: Supporting the core themes of this issue. 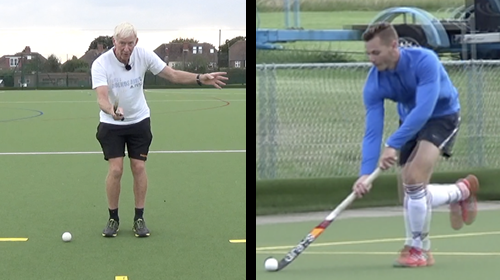 Training Method Tips: How to develop a young hockey player in becoming a prolific goal scorer, in this specific game situation. Food for Thought: Gentle touch passes v/s Rough, Forceful & Power based passes. Motivational Quotes: Ancient old Strategic Rules which can still be applied in life and sports by San Tzu. A hockey training program must meet the demands of a very physically challenging, multi-sprint sport. Tactical: Strategic moves and plays which are executed in the pocket of the Right Offensive Quadrant (ROQ), namely Play Making Space (PMS). Technical: Developing the specific technical skills required to play effectively in this play making space. Power point presentations and video clips: Supporting the core themes of this issue. Food for Thought: A new addition to our Quarterly CNL, “Food for Thought”,it will cover comments and views of the experts on various topics related to our game. In order to see things from a different perspective. These views will not be the same as we hear from our top coaches, experts and the commentators covering international matches. Especially with the current style of hockey, which is designed on the foundation based upon Brute Power and Overloaded Hard Skills. Doctor, hockey world champion, Member of Parliament, state cricketer, winning coach bestselling author…the list of this remarkable man’s achievements are little short of astonishing. This coaching newsletter is designed to address the needs of the young and upcoming hockey players - and their coaches - who are specifically passing through the 3 – 5 stages of the Long Term Athlete Development Model (LTAD), namely Learn To Train, Train To Train and Train To Compete. Please refer to the diagram 1. For more details. Shiv’s Coaching Academy’s (SCA’s) “Elite Youth Player Development Model” (PDM), has also been modelled upon the (LTAD), with specific emphasis upon developing the Technical and Tactical aspects of the game. These components have been diligently designed by Coach Shiv and his coaching staff with major emphasis on the correct technique to execute the basic skills and systematic mythology to develop tactical awareness and game sense. 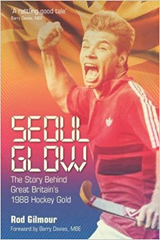 Further, elaborating what to do and what not to do, in order to develop highly skillful, graceful and effective hockey players. Please refer to the Diagram 2. This does not mean that the players and coaches involved in the higher age group can’t learn and benefit from this coaching E Newsletter. And the coaching resource material published, in-between the pages of this E Newsletter. In fact, if they were never exposed to the correct technique of executing the Basic Fundamental – Foundational - Technical and Tactical skills, it would most likely, not be possible for them to reach their true potential. Better late than never, to learn and improve upon. In other words, they can also benefit from this coaching E Newsletter. I have and will take the examples of the top world class players, making school boy mistakes during the Olympics and other world class tournaments, to bring home the point. Zooming in upon their deficiencies with healthy criticism, due to their lack of knowledge of the soft skills and how it is holding them back to perform effectively in the peak performance zone. This sure will go a long way to improve the standard of world hockey in the coming years. I also believe that this is partly due to poor execution and not knowing what to do and how to do it the correct way. In other words, this is a learning error and not a performance error, especially where the implementation of the soft skills and decision making are concerned. Yes, this is true and hard to believe? Please click on the Power Point Presentation Thinking in the 4 Quadrants, which says a lot about the way the world class players THINK and ACT, in the game situations. As stated in our previous Newsletter - The Law of imitation: The sad part is that the young and upcoming hockey players in the “Hockey Global village” are and will follow and imitate the current hockey players. This way the cycle keeps on going from one generation to the other –The law of Inertia and the much needed deficiency is hardly ever addressed. This needs to be stopped and corrected. An effective strategy to achieve this, is to, teach the players when they are in their early to mid-teens the Learn to Train (L2T) and Train to Train (T2T) stages of the LTAD model. Bend the willow when it is young. In order to do so the junior coaches also need to be educated, as they are the ones who are in the trenches. And will bring this positive change to make things happen. Reality: We all see, understand and interpret things differently, depending upon our background, knowledge and beliefs. In other words; what we see depends mainly on what we look for or like to see. What to expect: When you roll over the pages of this newly launched E Newsletter and the future issues, you will be pleasantly surprised to see and learn how we are brain washed and made to believe, that a certain way, is the only correct way to execute a skill. Nothing can be further from the truth. Sure there are more than one way to do things. We are and will be providing valuable information for you to be the judge and make informed decisions. To keep executing a technical or tactical skill the same way one has been doing for years or discard it and do it the New Way. So that we may all learn and become a better hockey player and coach. The current trend – more or less - has been to play the game with power, at top speed, resulting in one dimensional robotic play. Controlling the pace of the game at will, while displaying creative and intelligent plays, to create surprising moments, with body dodges, stick feints and dexterity, is a missing link. Yes there are a few exceptions here and there. No wonder our game is not as much spectator friendly, as it should or could be, when compared to soccer – football - and basketball. It’s time we give the soft skills their due importance and bring them back in our game. The Coaching Philosophy and mindset has to be changed as one size does not fit all, only one size fits one position. Although every player has to be versatile to play different positions wisely. Every given game situation, position and specific zone of the field has a unique technique / strategy to control and carry the ball, in relation to one’s body, opponent or opponents and team mate’s positions. One size – style and technique - does not fit all. Only one – size- fits - one. The tactical thinking to analyze the given game situation and the thought process to win the contest varies vastly, from one situation to the other. This is a very advanced concept. And our current players / coaches need to understand it clearly before they are able to implement and teach. A Shift in tactical thinking to have a new mindset. One of the key strategies is to operate on the premises that, higher the risk = higher the rewards! Take calculated risks. Avoid over protecting the ball, unnecessary, especially while entering – Offensive right and left Quadrants - near the opponents circle. We must learn to protect ourselves from ourselves. There is more than one way to get something done! Everyone views a situation differently, there is no right formula for success. Hard work, good ethics and correct techniques are the pillars of success. While developing a young players technical skills, we also need to develop their tactical thinking and game sense to make wise decisions during the run of play. After all life and the game of hockey is full of opportunities and choices. The decisions one makes will reflect the course of the game / future. And this is where we, the SCA coaching staff, sharply disagrees with the Hockey Guru’s who preach to coach skills in isolation. SCA’s philosophy is to coach the technical and tactical skills in the context of the game. Use Cones as field markers only and not as opponents to dribble through, while remaining players are standing in a row for their turns. Please refer to the Power point presentation, Coaching Philosophy. The game situations, are depicted in a series of photographs. Please observe and analyze, the slide 14 and 21. Can you do this visualization exercise? Imagine yourself, being in the player’s shoes. What would you have done? Do comparative analysis of the tactical thinking between yourself and the player’s point of view. What it resulted in and why? This will help you sharpen your memory skills, resulting in better Pattern Recognition and Re-calling. The 2016 Rio Olympics are over. We have new Champions, Argentina and Great Britain, in Men and Women, respectively. They are the teams who dethroned Germany (Men) and Netherlands (Women), who were on a mission to win their 3 Olympic Gold Medal in a row to score a hat trick. And make history. Unfortunately, they fell short. They need to blame no one, else, except for themselves, for lacking the soft skills and game sense, at the critical moments of the game. And this hurt them badly, and that also so very badly. We will be covering the in-depth analysis of the Rio Olympics from the Soft Skills point of view, in the coming issues of the quarterly CNL. Please refer to the article and presentation below regarding the Pre Rio Olympic Games Performance predictions. Please contact: Elaine Goodman, Manager. Coach Shiv looks at his predictions for the Rio Hockey competition from the perspective of an FIH Coach. Everything in the universe is governed by one law or the other, and so is field hockey. Here are 7 core laws of the game, which will enable one to play hockey smartly and effectively. 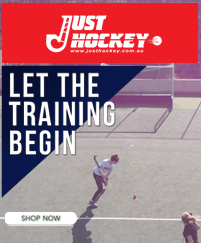 Whether you pick up the stick to play for your local team on a weekly basis or are looking to break into the national side, if you want the best performance on the pitch, you'll need to train like some of the world's best hockey players. 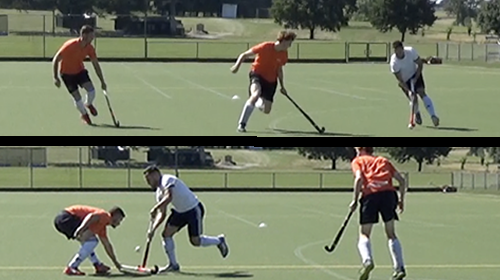 Surrey County Umpires Association in conjunction with FIH World Panel umpire Hamish Jameson and Sportplan have put together an outstanding presentation on the new rules of Hockey in place from January 2015. The presentation is also mobile friendly. I can highly recommend it for Umpires, Players and Spectators. With the New Rules already in play, we ask senior coach Jon Royce for his initial thoughts on training and playing with the change of rules.